Production of Biodiesel with the Magnetic Mill - GlobeCore. Oil Purification Systems. Two different and immiscible liquids, alcohol and vegetable oil, form an alcohol in oil emulsion when mixed. Intensification of mass transfer requires fine dispersion of the original emulsion. 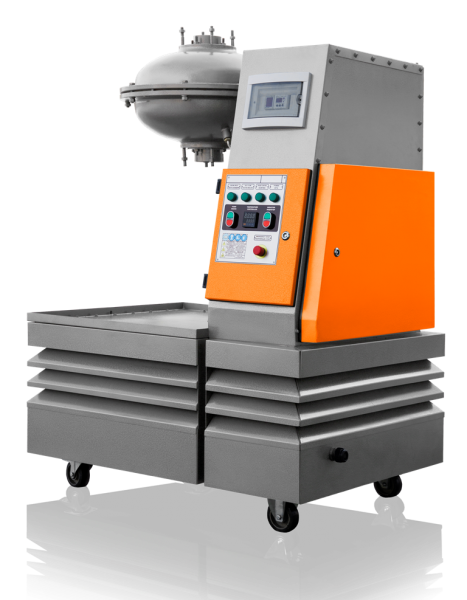 The choice of the appropriate equipment or device for this stage of the process largely determines the efficiency of the entire process. Known biodiesel fuel production technologies are becoming obsolete due to extensive energy and material consumption and low processing capacity. The developments in this field is directly related to the research of principally new technologies utilizing efficient methods of combining many factors to influence the dynamic of the biofuel production process (methanolysis). It has been proved experimentally that cavitation and heat alone are not sufficient influences on the vegetable oil and methanol to intensify the biodiesel production process. High intensity methanolysis may be performed in machines with a rotating electromagnetic field, which demonstrate energy concentration in the process chamber several times higher than any other machine. If the rate of a complex chemical reaction is determined (and limited) by the rate of its slowest stage, elementary reactions are limited by activation energy. It is defined as the energy needed for efficiency molecule collision, leading to chemical interaction. Only active molecules with sufficient energy react. To make inactive molecules react, more energy must be transmitted to the substance in a process referred to as activation. One of the most common ways of increasing activation energy is heating: in this case the number of active molecules increases, accelerating the reaction. Activation in general can be achieved not only by heating, but also by emission of energy in the course of the reaction, when chemicals absorb quantums of emitted energy, by ultrasound, by electrical discharges and even by collisions with the walls of the reaction vessel. Vegetable oil and methanol are immiscible chemicals. In the original phase, the reaction mass consists of two phases (alcohol and lipid), i.e. a heterogeneous system. Heterogeneous reactions occur only on the phase boundary or within one of the phases in the case of diffusion of one reagent in another (this is the case with the immiscible liquids). Therefore, the dynamic of the reaction process is controlled by the mass transfer of the reagents through a diffuse boundary layer. Methyl esters of higher aliphatic acids (components of biofuel) are soluble both in vegetable oil and in methanol. When they appear in the reaction mass, they act as a solvent, thinning the boundary layer; thus, some time after the reaction begins, it becomes homogeneous, and its dynamic is controlled by the chemical process. 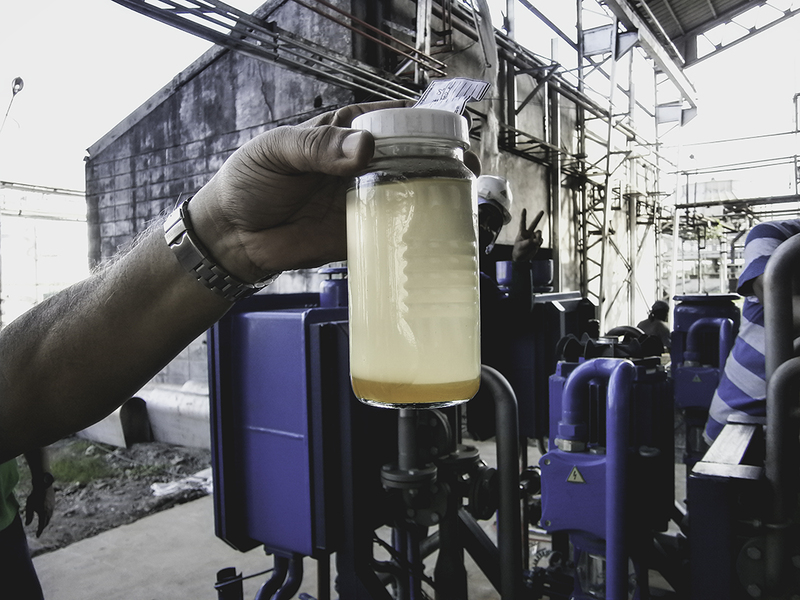 The technology of continuous biodiesel production is based on the following theory. 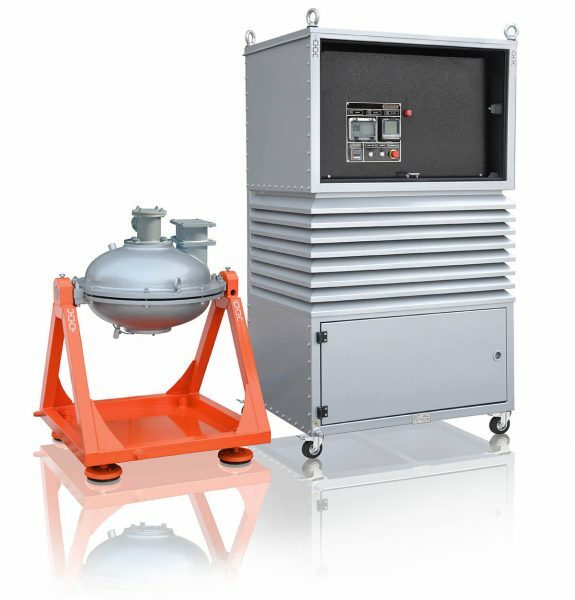 It is suggested to use a bioreactor, in which the process space is filled with ferromagnetic particles, fluctuating and moving along complex trajectories under the influence of a rotating electromagnetic field. The rotating field, beside moving the ferromagnetic particles which mix the reaction mass, has its own impact on the reagents. The efficiency of mixing changes the parameters of mass transfer in the direction of intensification, while the electromagnetic field sharply increases the activation energy of the initial compounds and reaction rate. 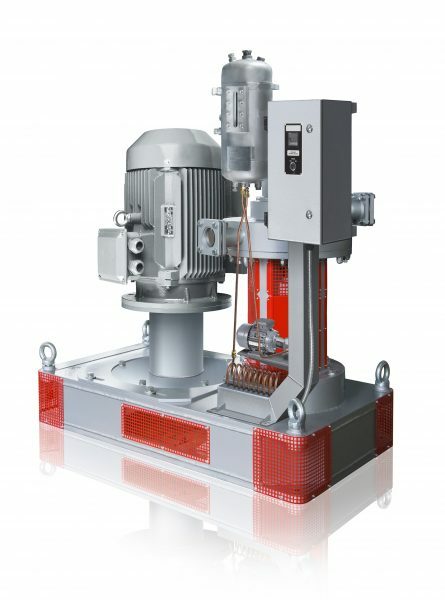 Therefore, the task of designing process equipment for continuous production of improved biodiesel fuel is directly connected to the design and application of improved rotary equipment. This conclusion is based on preliminary experiments, which demonstrated that the required properties of the fuel are virtually unattainable on traditional rotary equipment with only one modulator, since it lacks the capability of multi-factor energy influence and impulses to intensify the process of biofuel production and the improvement of biofuel quality. Almost all biofuel is currently produced by methanolysis of triacylglyceride. The use of homogenic catalysts allows to perform the methanolysis of the lipid feedstock (complex esters of glycerine and higher carboxylic acids) with alcohol in moderate conditions. Partly due to corrosion considerations and partly due to the kinetics of the process, alkaline catalysts are preferable. This catalyst type is the most commonly used one. The most important parameters influencing the process of biodiesel fuel production by methanolysis are: reaction temperature, molar ratio of alcohol and oil, catalyst concentration, reaction duration, as well as the presence of water and free fatty acids. All research and industrial production of biodiesel in various countries concentrated on vessels, where the mixing was performed only by mechanical or hydrodynamic agitators. The methanolysis reaction is a subset of intermolecular transesterification reactions and is reversible, which means that 100% conversion rate is impossible. There will always be unreacted mono, di and triglycerides in the end product. An important feature of the methanolysis reaction is that the reagent do not mix. research shows that the molecules of alcohol form droplets dispersed in oil as an emulsion. The methanolysis reaction will likely occur on the surface of the alcohol droplets emulsified in oil, i.e. a heterophase reaction in liquid. As methyl esters of higher carboxylic acids form in the course of the reaction, they diffuse into the methanol phase. This means that the methanolysis reaction is heterogeneous with limited mass transfer in its initial stages (with methyl ester concentration below 70%), which makes physical mixing less efficient in most cases. Above this concentration of esters, the mixture forms a single phase. The suggested method of synthesizing higher aliphatic acid methyl esters implies a comprehensive influence on the reaction mass by the electromagnetic field. High product yield is possible with lower molar ratio of triacylglyceride to methanol, as well as significant reduction of reaction duration. With the application of the rotating magnetic field with ferromagnetic particles, ingredients with lower degree of purification can be used. This is because the reaction duration is so small (seconds or less) that such processes as saponification or hydrolysis simply do not have time to develop. Besides, the influence of the electromagnetic field accelerates the esterification reaction (the reaction between free fatty acids with methanol resulting in the product: complex methyl esters of carboxylic acids). Application of the ferromagnetic particle vortex layer offers superior mixing due to flow turbulization, which cannot be achieved by physical mixing. Besides, acoustic waves and cavitation in the process chamber also increase the intensity of the mass exchange processes. The level of physical and acoustic influence on esters is determined by the parameters of the parameters of the rotating EM field which forms the vortex layer of ferromagnetic particles. The emitted heat also facilitates process activation and diffusion.